This game of chess is in progress. tgispencer is to move next. Don your delightfully spooky costumes and prepare your confectionary collection buckets, for Nightmare Night Week is upon you! Throughout the week there shall be a festival in town, involving games, entertainment, trick-or-treating! Much fun shall be had! The week lasts from the 31st of October and ends after the 6th of November. There will also be a special attraction during the week in Ponyville. A haunted maze hosted by Ever in the HUB! The maze will be available sporadically during the week so there will be plenty of chances to get lost within! Furthermore, there shall be a contest for the spookiest story! The winner shall read their story up on stage for the whole town to hear on the last day of Nightmare Night Week! Today I'm going to start my sketches, and hopefully they will grow better as I get some tips from everypony else! This game of chess is in progress. --Derpy__Hooves-- is to move next. It is an exciting day in Equestria as we prepare to welcome a brand-new Princess to our wonderful kingdom; Sapphire Night, Princess of Compassion. 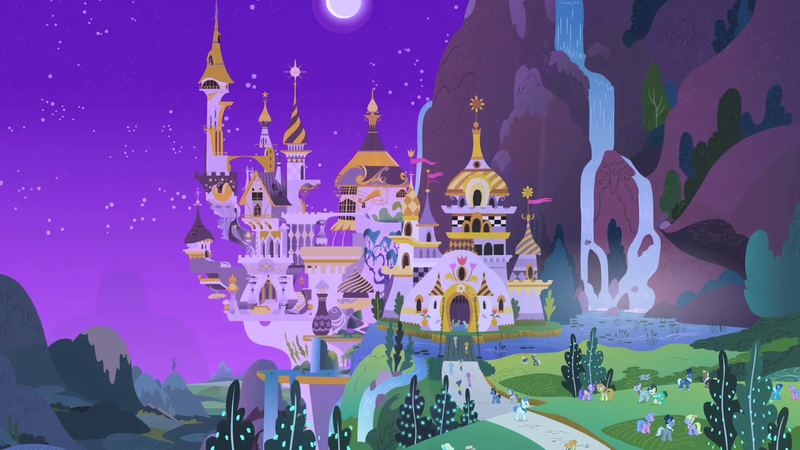 The coronation will be held at the Royal Canterlot Palace, and is open to all ponied who wish to attend. The Castle grounds will be open all day to the public, beginning at dawn with a city-wide festival and ending in the evening with a banquet in the Royal Hall.